My life, under the microscope...: strawberry jam anyone? 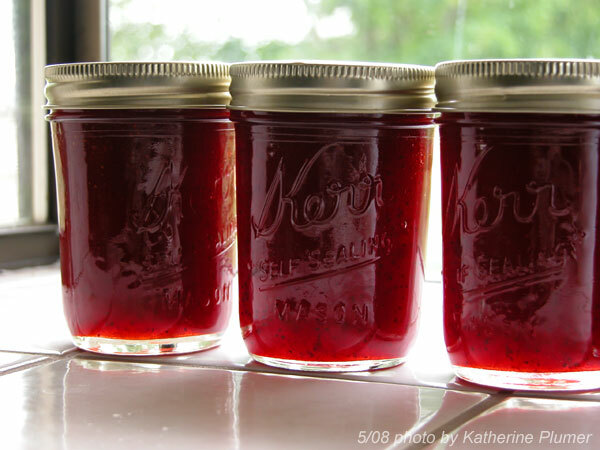 It's that time of year when the strawberries are ripe and I'm in the mood to make some jam (well, as soon as I finish this urgent scrimshaw stuff). I am planning to make jam in the middle of May. The apricots/plums/peaches/nectarines won't be ready til July or August so I don't want to think about those yet, BUT it's strawberry time! And I make darn good jam, let me tell ya. If you're local, feel free to come get them. Let me know! PayPal to kplumer1@earthlink.net or money order to Katherine Plumer, PO Box 703, Wilton, CA 95693. Or I can take credit cards over the phone if that floats your boat. Order by May 5, please.